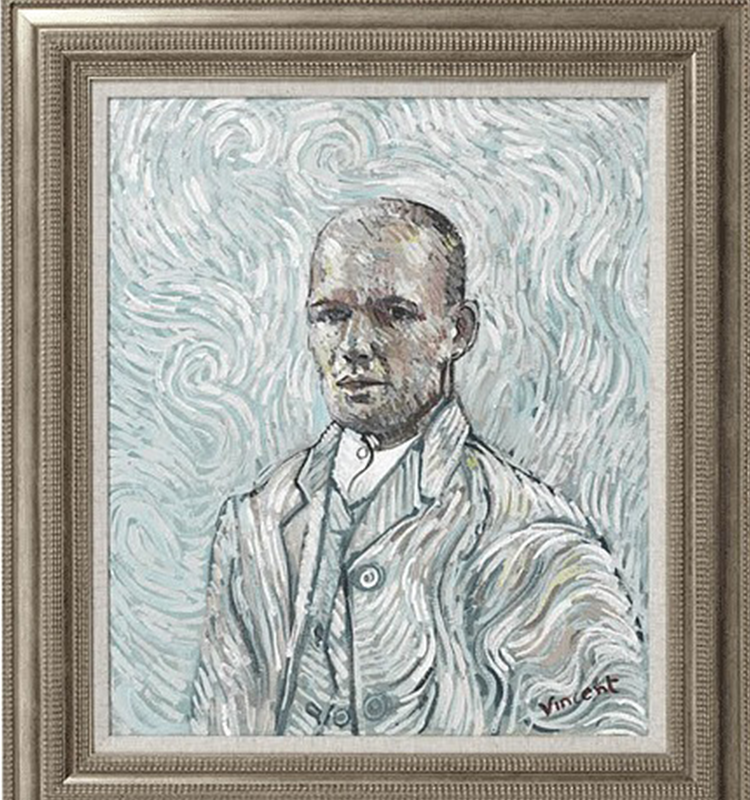 Ever wondered what Arjen Robben would look like in the style of Van Gogh? 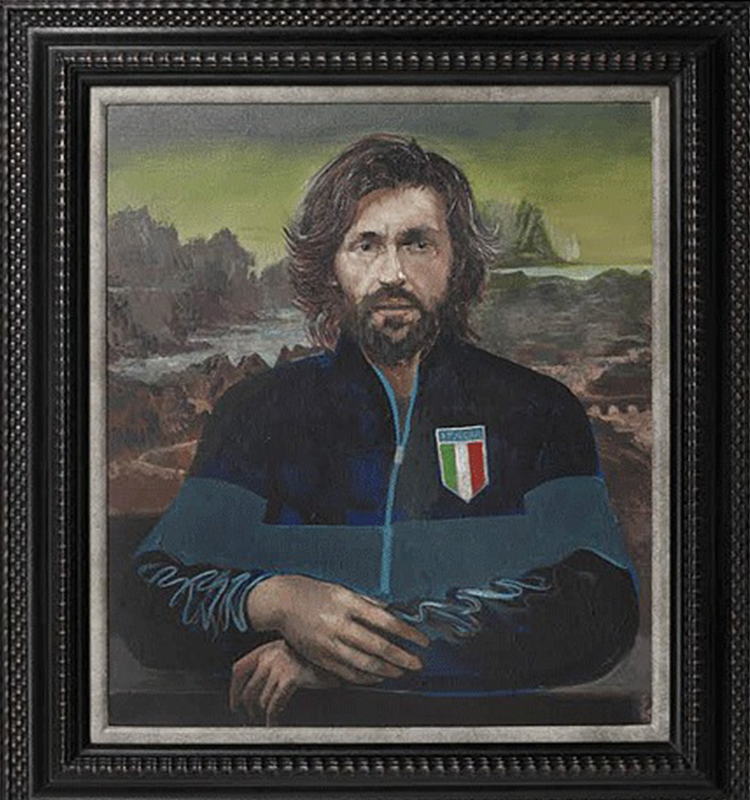 Wonder no more as Castle Fine Art gallery in Mayfair today opens up an exhibition of footballers painted in the style of art world giants. 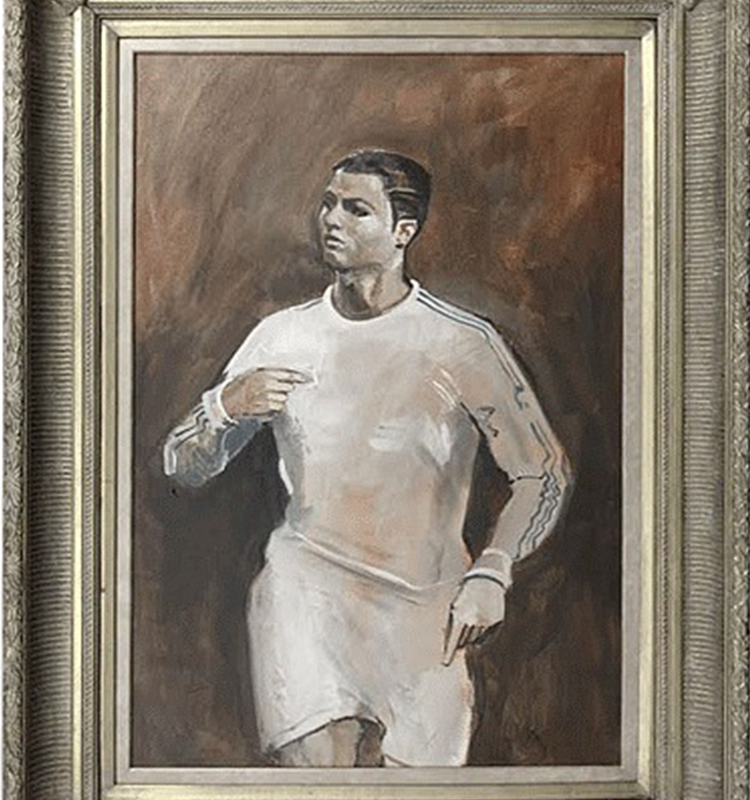 Artist John Myatt has made the beautiful game even more so by capturing the likes of Gerrard and Ronaldo in a series which marks the launch of Sky Sports 5. 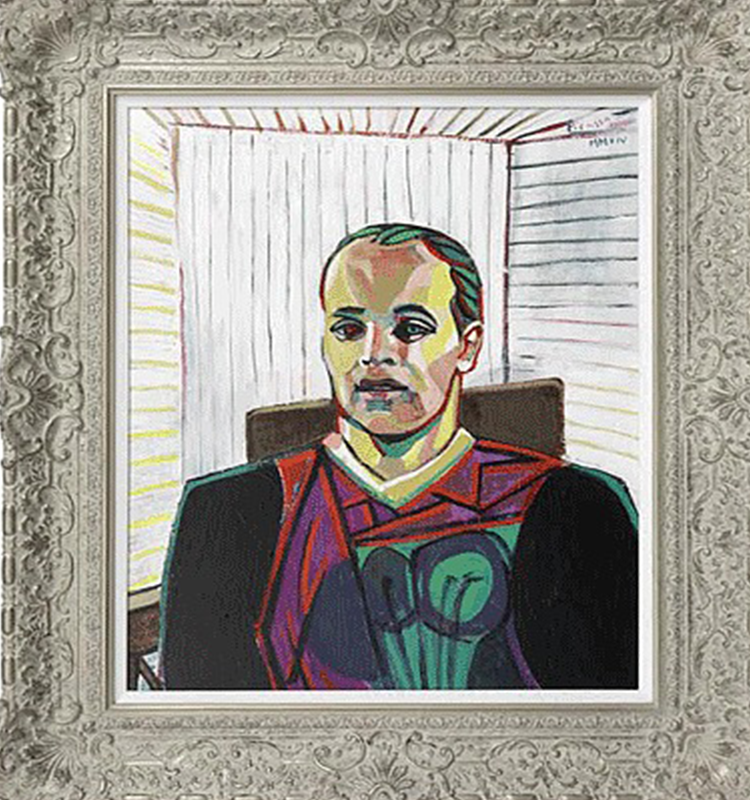 Myatt said of the works: "Using such iconic faces as the basis for my portraits was great fun – we are used to seeing talents like Gerrard and Ronaldo on our TV screens but we've never seen them quite like this before." Painter Sir Joshua Reynolds was knighted by George III in 1769. Here Gerrard is depicted as General John Burgoyne, whose passive war skills enabled the Americans to capture his army during the American Revolutionary War. 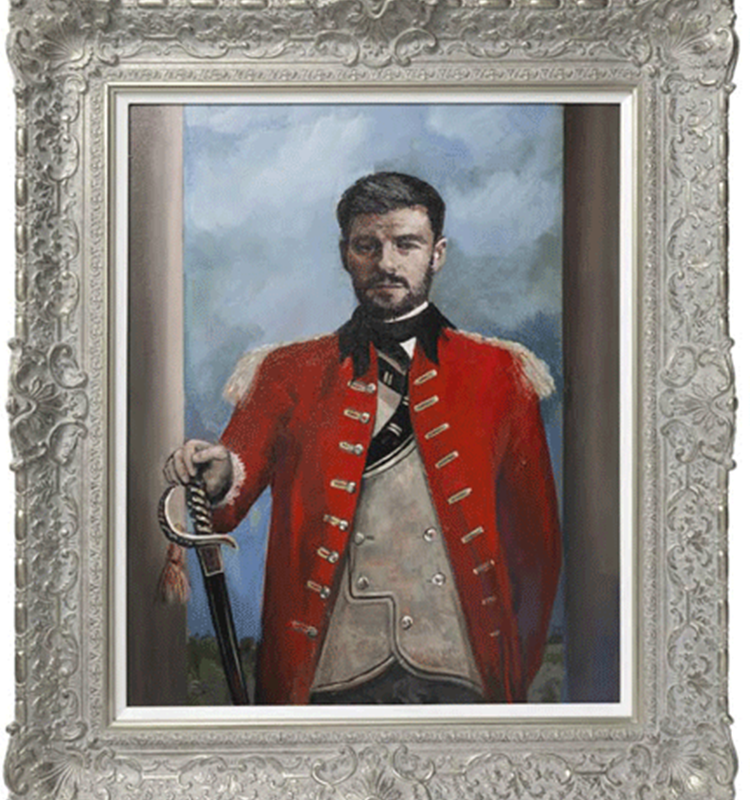 Following Gerrard's faults during this summer's World Cup which led to Uruguay striker Luis Suarez scoring the decisive goal against England, Burgoyne seems the perfect art alter-ego for the ex-captain.